Posted on November 24, 2016 at 4:57 pm. Watching the Temple of Light take form is a celebration of creation. Form emerges like a newborn or a work of art drawn from within. Form makes real what was only imagined. As long as we are in human bodies, we also need to take action, to create, to apply our understanding. Swami Radha always asked, How will you apply your insights in your life? Now is the time. What is your way? 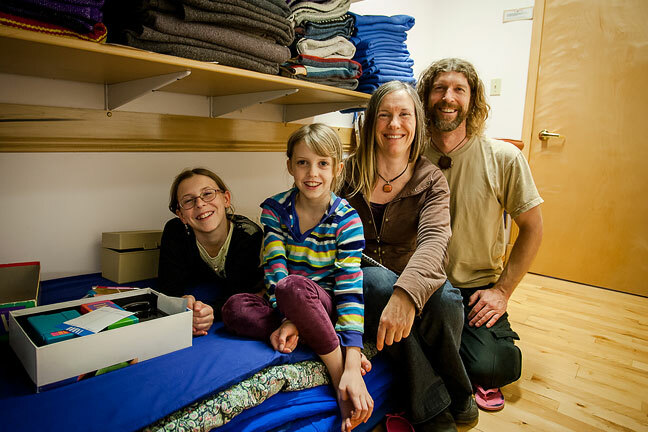 For the Yasodhara Ashram community, the Temple is one way. It is not just an inspiring, innovative and intricate building. It is a symbol of our commitment to bring out the best in ourselves and others, to rise above differences and to find common ground in the Light. We want to be transparent and open, flowing and strong, like this form. We are putting everything we have into the Temple – and as we do, we bring others along. The architects, fabricators and builders are stretched to their creative edge and proud of their collaborative, harmonious work. And you – our friends, teachers, students, colleagues – are giving generously and continuously in so many heartfelt ways. This is an open invitation to come and be part of the vision as it emerges and to celebrate when it is complete! Thank you so much for your tremendous support. 2017 will be our year of Celebrating Sacred Space. As we approach the turning point of Winter Solstice, honour the return of growing of daylight by nourishing your own inner Light. Practice the Divine Light Invocation, relaxation techniques, visualizations and meditations on Light. Expand your awareness through personal and spiritual development in this three-month intensive program, now in its 48th year. 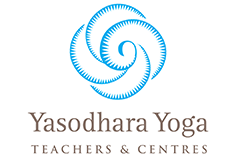 Built on a series of integrated workshops that weave experiential learning with diverse yoga practices, the YDC offers powerful tools for evolution of consciousness. There is still time to sign up for 2017! Watch the video. Join us for a joyous celebration of the new Temple of Light! 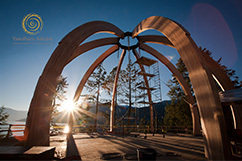 Immerse in the teachings and experience the brand new Temple of Light from July 31 – Aug 4. Celebrate the official Grand Opening with special guests and events from Aug 4 – 7. Details to come. Come for a day, the weekend or the week! Plan your next visit! 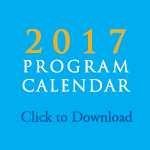 Preview our downloadable program calendar for 2017 (PDF). Online registration will be available by mid-December. In the meantime, you can phone Registrations at 1-800-661-8711 to book your stay. 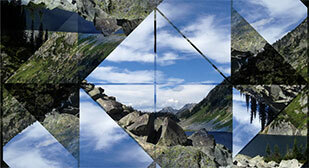 Personal Retreats, Artist and Professional Renewal Retreats and Karma Yoga are available year-round. Our popular Taste of the Ashram program runs year round. Gem Salsberg, a long-time Yasodhara Yoga student, is helping the Ashram create videos and photography of the Temple project. Here she exhibits her photographs of a mystical Temple moment and tells her story. After days of torrential rain, heavy clouds and a sobering American election, it seemed improbable that we would see the supermoon rising here on November 14th. The moon would be closer to the Earth than it has been since 1948. This timing synchronistically coincided with the raising of the first elegant and massive wooden supporting arches and curving shear walls of the Temple of Light. That night as I finally lay in my bed, cosy and completely content to be in my pyjamas, I received a text from Swami Lalitananda: Supermoon shining on beams. Magic. With a sleepy murmur and a sense of excitement, I wrestled on some warm clothes and headed out into the night, camera in hand. As I walked the unlit dirt road, the clouds miraculously opened up and the moon began to rise from behind the mountains. When I reached the Temple, silver shimmered along the edges of its vast wooden bones. The world felt mysterious and powerful as the clarity of cold night stars emerged in the indigo sky. I worked with my camera to capture the moment. These photographs were taken by the light of the supermoon. The beams were illuminated softly in the darkness. As the images surfaced, I was grateful for what my camera has shown me – that even in the darkest of times, there is light. I am perpetually learning to keep my heart open and in the lineage of the lens: to remain steady and focused and to allow enough time for truth to emerge. Occasionally, it is revelatory. View Gem’s supermoon photos here. 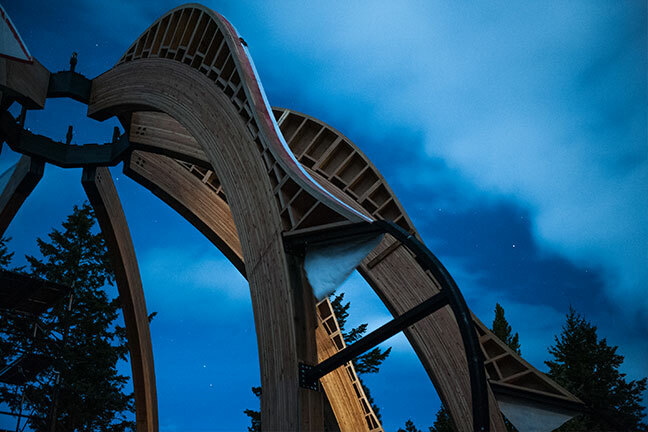 After years of design, plans, visions and revisions, it was breathtaking to see the Temple begin to manifest as the structural elements – including arches, oculus and shear walls – were lifted into precise placement. Fabricators and roofers are now working to complete the sub-panels or “petals”. The assembly of the external shell of the Temple should be finished by the end of January. Work on the auxiliary building is starting now! 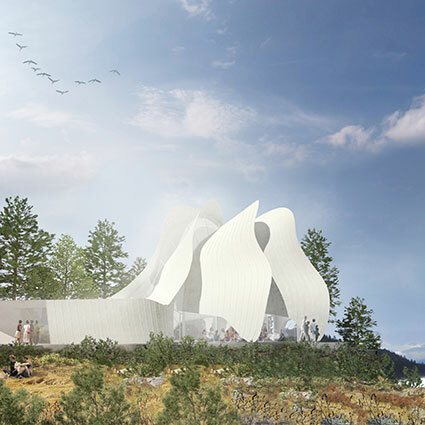 Perspectives on the Temple of Light: Luke Stern of Patkau Architects sheds some light on the cutting edge techniques used to design and construct the Temple of Light. 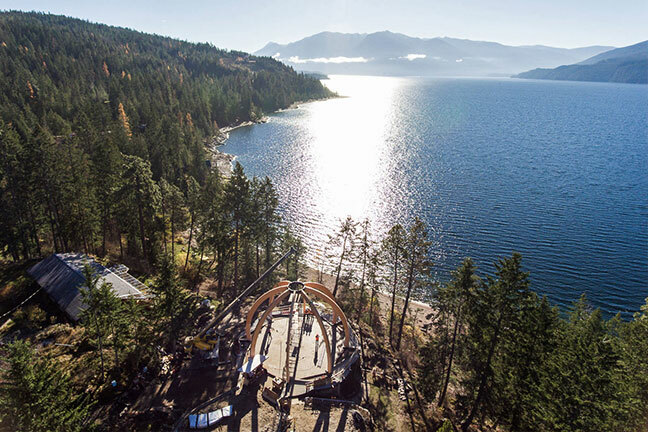 The Approach: Photographer Nick Diamond from Spearhead captured the majestic approach to the Ashram and the new Temple of Light overlooking Kootenay Lake. 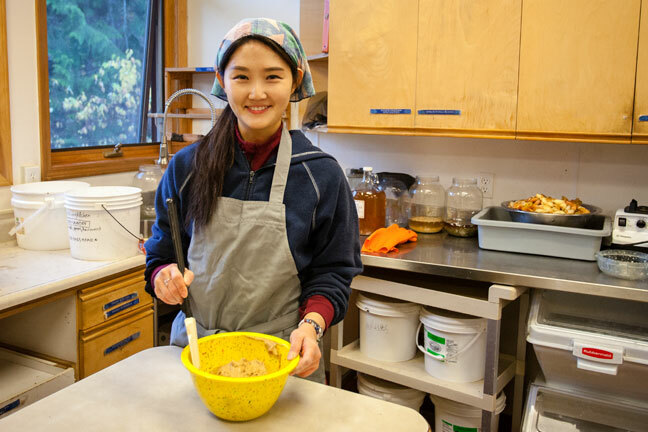 Joomi Lee from South Korea spent seven weeks at the Ashram on the Young Adult Program this autumn. She reflects on her experience and what she is taking back home with her. 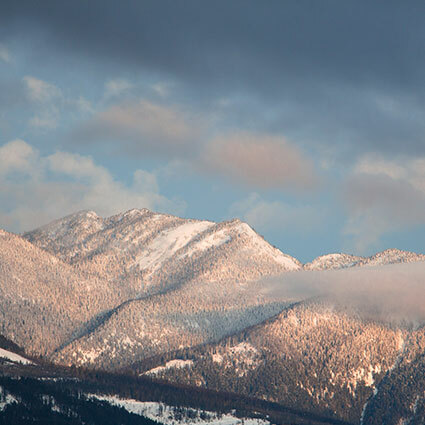 I first found out about Yasodhara Ashram two years ago while looking up yoga online. It took me two years to get here. I was a yoga instructor back home for the past year, but it was stressful because I’m an introvert and being in front of other people makes me very nervous. Instead of quitting like I’d done with other jobs, I endured in order to change my pattern and because I like yoga – I just wasn’t passionate about teaching. I planned on going to New Zealand in April and then remembered the Ashram. I decided it was the perfect time for me to come and learn about myself and continue my English studies before moving to New Zealand. When I told my friends and family I wanted to go abroad they didn’t understand why I wouldn’t settle down, get a job and follow a more normal path. Being here has changed everything. I never thought I could set goals for my life and now I realize the importance of family. I plan on using my education from cooking school to open a café in the storefront below my grandmother’s house. More than a café, it will be about community and working with my family. I realize I have all the ingredients to complete my goals, but I didn’t know how to cook them into action. Spending time at the Ashram has made me feel like I can do something with my life. The latest from Finding Yoga columnist Bryn Bamber on relinquishing control. 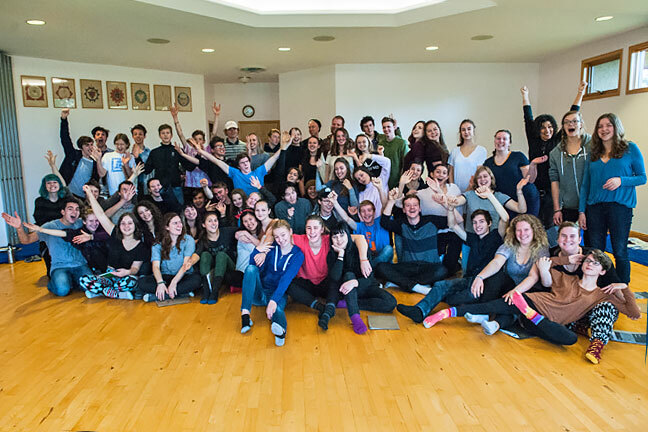 Beautiful young voices filled the Ashram recently, when over sixty members of Nelson’s Corazón choir came for an overnight team-building visit. Choir director Allison Girvan sought an environment that encourages deeper connections with each other and with the music to bring together new and longer-term members. Settled back in Nelson for a few weeks after being here, Allison commented on the continued effect of the visit. “We are all still riding the wave of being together at the Ashram and are so much more connected from our time there,” she says. “I know it wasn’t that long ago, but the memories of the environment feel more vivid than I would expect. Experiencing Corazón’s offering from the heart was an incredible experience for everyone. We look forward to the choir’s return next fall and hearing them in the new Temple of Light! Find out more on their Corazón webpage and on Facebook. 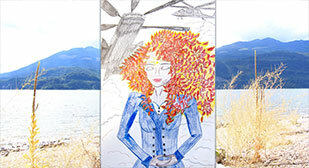 D. Roberts recently spent a couple of weeks at the Ashram on an Artist’s Retreat. She reflects on her experience. 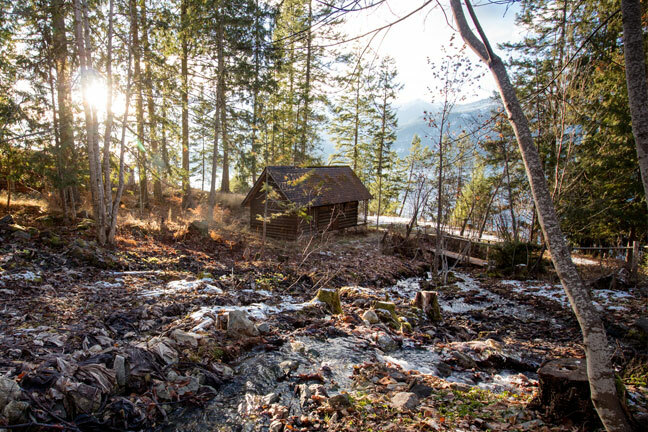 My recent decision to learn to play a musical instrument, something I’ve always longed to do, synchronized with the chance to do an Artist’s Retreat in Creek Cabin, a perfect tiny log cabin tucked into a nook in the forest with an amazing view of Kootenay Lake. I’m a bit bashful to admit that the instrument I’m learning is the ukulele. It’s a bright and happy instrument that is difficult to take too seriously. It’s forgiving, relatively accessible and so much fun. Early one morning I stepped out upon my porch and noticed a bird, about the size of a robin, tucked beside the deck with one of its wings splayed out as if it were broken. I have no idea how long it had been there, but I left it in peace with little hope for its fate. Guenevere Neufeld shares her experience in a war zone in the Middle East and how we each have a personal responsibility to create peace. The Gibbs-Reed family foursome entered our One-Month Karma Yoga Program in October, wanting to deepen their experience of Family Week. They happily reflected together on their reception here. The girls – Jasmine, 11 and Samara, 8 – both considered satsang a favourite. “I really like the prasad,” said Samara of our dried fruit. Jasmine said enthusiastically that “the singing and chanting energizes me to the point where I feel I could go on forever.” They also found a special place to play in the mat room. Participants and presenters included representatives of the Ktunaxa Nation, city planners, environmentalists, wildlife enthusiasts, artists, regional directors, college students and many more. 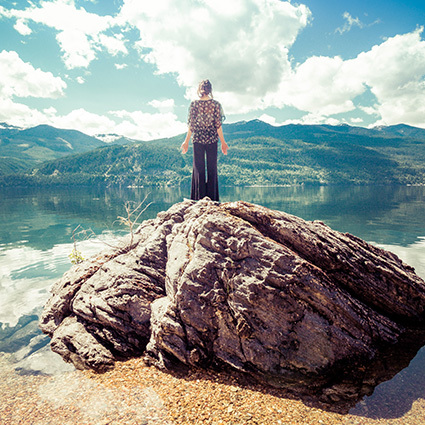 Everyone was brought together through their care for beautiful Kootenay Lake. 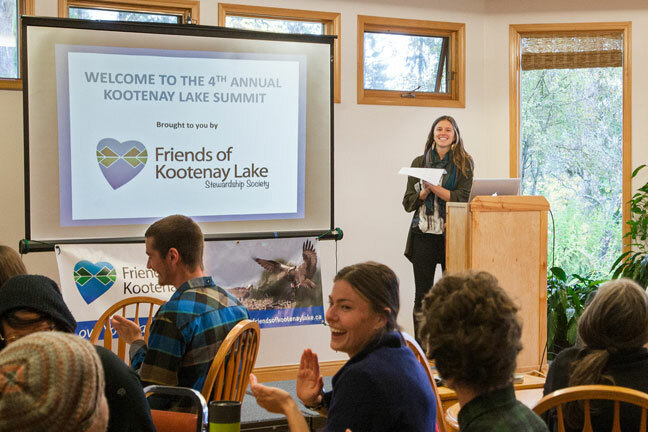 Click here to learn more about the Friends of Kootenay Lake Stewardship Society. Senior teacher Swami Sukhananda will be offering workshops in Europe over the coming months. See a schedule of her workshops. Swami Sukhananda first met Swami Radha in 1988 and was deeply moved by her experience. She has been living and teaching yoga at the Ashram and in Europe ever since. Sukhananda was formerly an adviser to governments on sustainability, environmental and organizational issues. She is a historian whose articles about Swami Radha’s work have appeared in British and North American yoga magazines. Interested in hosting a workshop during her tour? Email outreach@yasodhara.org. 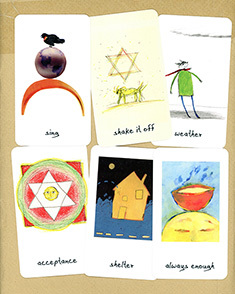 Use these cards to support everyday reflection. Features Shakti’s original artwork. Comes in a deck of 49 cards. Interfaith Climate Vigil – On October 22 the Ashram hosted an Interfaith Climate Vigil as part of the Nelson EcoSociety’s vigil series. A special satsang was offered for people of all faiths to gather and spread positive intentions for the climate. View photos on our Facebook page. 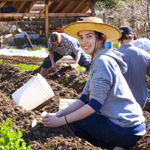 Hands-On Learning – This autumn students from the Crawford Bay Elementary and Secondary School came to the Ashram as part of their Homestead and Survival course. Read the article here.